Awful waffles are my boys’ favorite breakfast (that or pancakes), because you get to smother them in liquid sweetener and it’s ok. We call them “awful waffles” because when my five year old was first talking, he called waffles “awfuls” and it was the cutest! But these paleo waffles are anything but awful. Making really good waffles from cassava flour has been a goal of mine since I got that first bag of Otto’s. Waffles were the first thing I tried making and I excitedly whipped up a recipe, astounded at how perfect the consistency of the batter was. I cooked ’em up and expectantly took a bite… and was disappointed when the center was a gooey, squishy mess. That’s because there’s a bit of a learning curve when cooking with cassava flour. While it is most similar to all-purpose flour out of all of the alternative flours I’ve tried, in my experience, it generally doesn’t sub perfectly in every recipe. 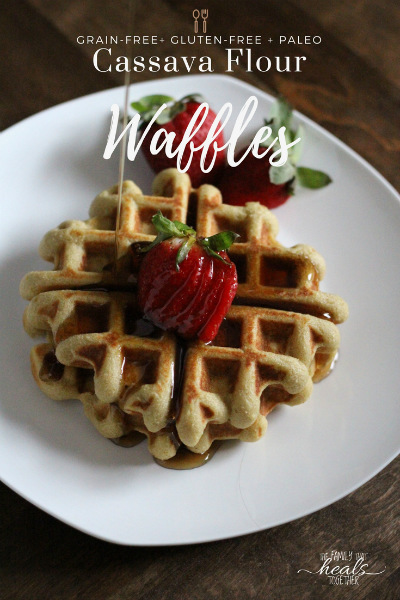 With a little tweaking and creativity, however, I’ve found that I can nail perfect baked-good texture with cassava flour, and these paleo waffles are proof! I told you a little last week about how I’ve really had to re-commit myself to the grain-free, paleo-style that our family does best on. With the stress of our move dragging out, I was buying a lot of gluten-free bread and other convenience foods at the store. And that was totally ok and may be ok in seasons, but it’s felt good getting busy in the kitchen and sticking with a plan. Meal planning is my jam. Like, I can hardly function without it. If I don’t at least jot down a general list of what I’m going to make for each meal of the week, I basically run around like a chicken with my head chopped off, feeding my kids whatever I can quickly grab without thinking too much about it. Again, I think there’s grace for stressful seasons when some lesser-quality food choices can’t be avoided, BUT, I think in most cases, they CAN be avoided with a little planning. More than anything, I love having my meal plans done for me, especially since so many great meal-planning services have come out that allow for special diet needs. But did you know there’s a meal planning site that even offers GAPS and strict paleo meal plans? You can even easily alter the menu to exclude ingredients your family is allergic to. I’ve been blown away by Real Plans! Or just really busy. Or stressed. 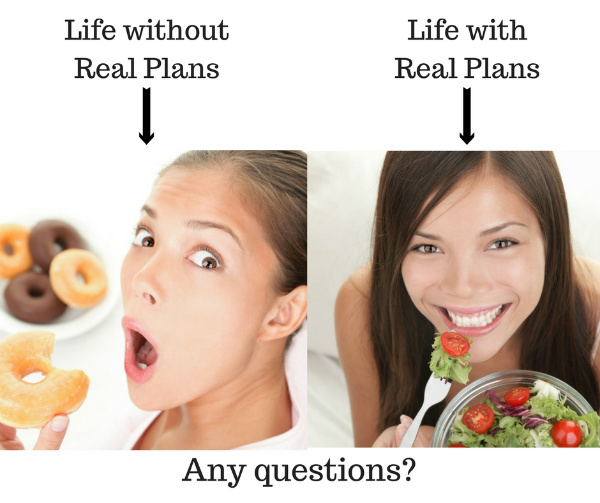 Whatever your excuse, Real Plans is meal planning done for you, according your family’s unique dietary needs! Whether you eat gluten-free, dairy-free, grain-free, paleo, GAPS, or just real food, Real Plans is totally customizable, and you can even add in your favorite recipes from around the web (hint hint- add this paleo waffle recipe to your breakfast routine with ease!). 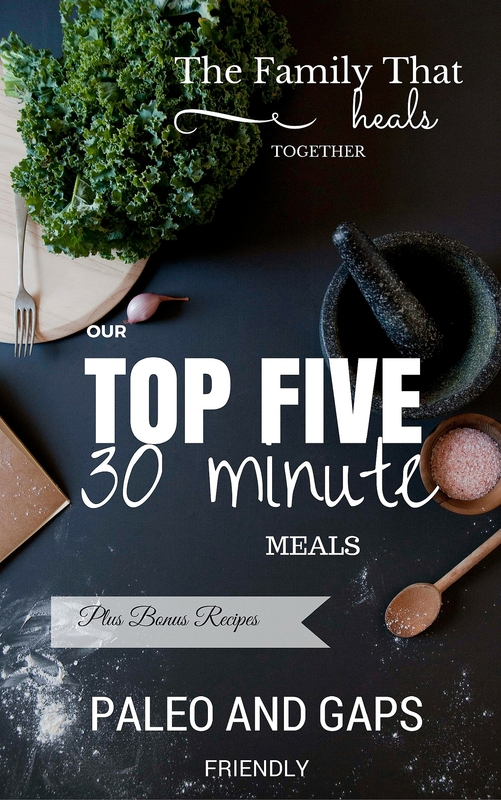 They even offer Whole30 meals plans! Real Plans even has an app, so you can look up your grocery list right from your phone, as well as pull up recipes at the touch of a button. My favorite part is that I can pull up the next day’s meal plan and see if there’s any meat I need to thaw or anything else I should do to be prepared. Y’all know I don’t tell you about something unless I love it. And because I LOVE my readers, I want to share things that I think will be valueable to you. The first time I tried Real Plans, I called my mom, my sister, my paleo bestie, and my real food bestie and told them all to try it stat. That’s how much of a difference Real Plans has made in my life! If you want to give Real Plans a try, you can get the meal planning for as little as $6/mo (if you sign up annually), up to $14/mo (if you choose to pay monthly). They also have a 30 day money back guarantee, and you can cancel at any time. Give it a try here. Now that I’ve waved a magic wand to make your real food dreams come true, on to my next magic trick: delectable cassava flour paleo waffles. I’ve made these several times now, and our family just adores them. I’ve found a great combo to get a not-too-gooey, perfectly palatable waffle recipe. Gone are my first days of cassava flour failures. 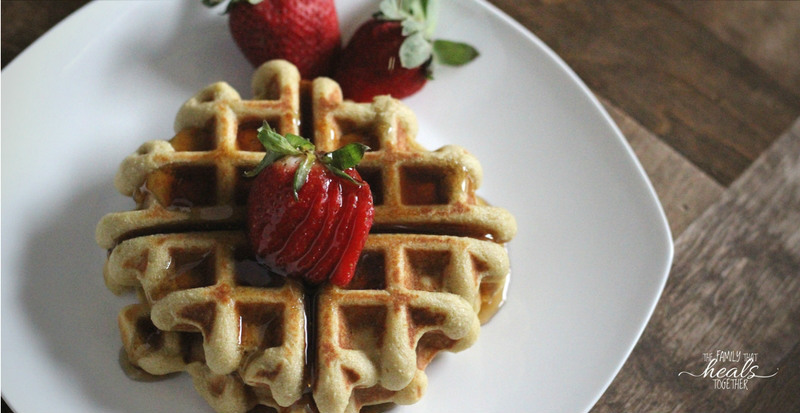 If you want to give these waffles a try, grab your cassava flour here, then follow the recipe below! By the way, I get asked often about non-stick cooking surfaces and good alternatives. Our family switched to a ceramic waffle maker last year, which is naturally nonstick without the harsh, harmful chemicals of teflon and other typical nonstick surfaces. You can find the one we have here. In a medium bowl, combine flours, coconut sugar, baking powder, and salt and stir well. In a separate bowl, beat eggs for a moment before adding milk, oil and vanilla and mix well. Add wet ingredients to dry ingredients and stir until combined, just until lumps are gone. Pour about 3/4 cup at a time on waffle maker and cook 3-4 minutes on medium. Use a fork to remove waffles as they're done, and repeat steps with remaining batter. Serve with butter or ghee and maple syrup. Be sure to share this paleo waffle recipe or pin the image below! Just want to let you know that we featured this recipe on an article of ours. Thought you might want to know! I’m SO glad to hear that! We’ love them too!